Why are the ps4 and xbox one accounts so expensive? Can I buy a ps3 or xbox 360 account and transfer my account to ps4 and xbox one? No, modded accounts can not be transferred. This is why accounts are now expensive. Can I get my own account modded? GTA accounts can only be modded on PC, PS3 and XBOX 360. Other platforms can not have their accounts modded. If I purchase the Black Ops 3 Modded Account / Unlock Service, will I lose my current Black Market weapons? If I purchase the Black Ops 3 Modded Account / Unlock Service for Zombies, will I lose the liquid diviniums and gobblegums I have? No, you won't lose any of your gobblegums or the liquid diviniums you have. Can I add attachments to the DLC Weapons thats included in your DLC Weapon Packages? What platform is v-bucks service available on? The v-bucks service is available for Xbox, PC, Nintendo and IOS. What do I need to provide for v-bucks service? We need your epic games ID which would include email and password. We have been selling accounts and services for 4 years! 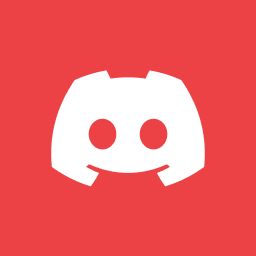 You can scroll to the bottom of the page to check our reviews and join our discord server! You can google us too! How do I know you wont take my account? We can add vBucks to all accounts. Your account is of no value to us. Additionally, your account is safe as no one can change email IDs on epic games account! There are no returns/refunds. The only way I can possibly allow one is if the service didn't work or you purchased the wrong service. That's about it. I am able to do replacements the so in the rare occasion if a service went wrong i ll just redo it or replace it so don't worry.